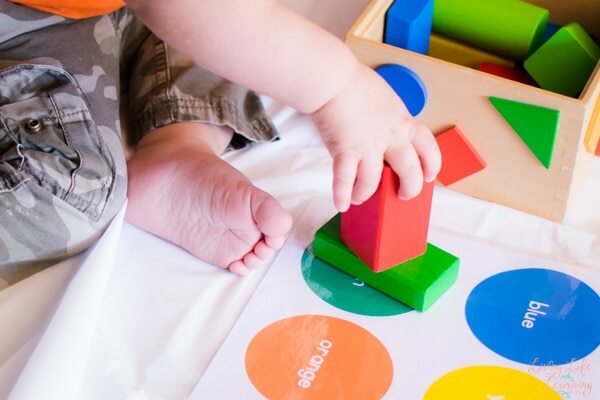 Is your toddler learning his or her colors? 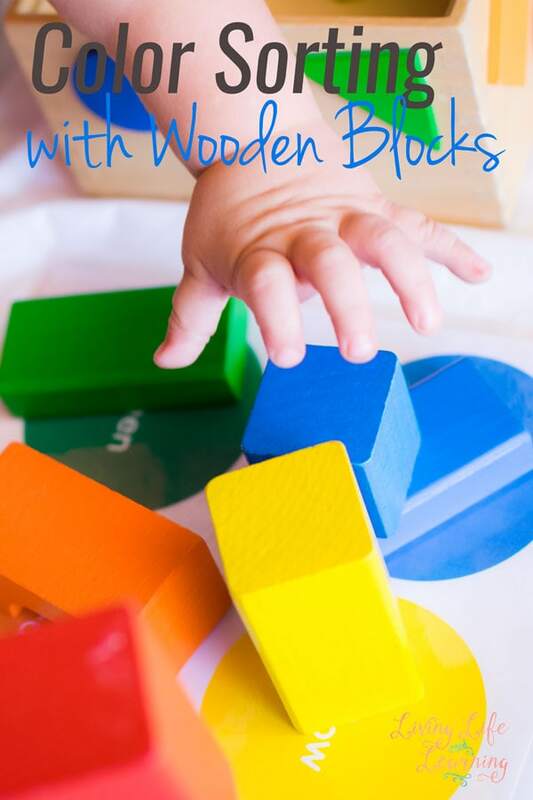 I’ve got a fun way of working on color recognition and color matching for you that doesn’t require any special items or purchases: Color Matching with Wooden Blocks! 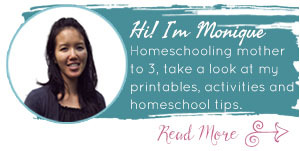 There are tons of fun educational items you can buy, and I’m certainly one who can have a hard time resisting all that cute stuff, but they’re definitely not necessary if you’d like to do tot school with your kids or just change things up a bit during playtime. Print out the one-page printable and laminate it if possible. It has seen a lot of action at my house, my son gets excited about the color mat and waves it around all the time, and it’s still going strong thanks to lamination. 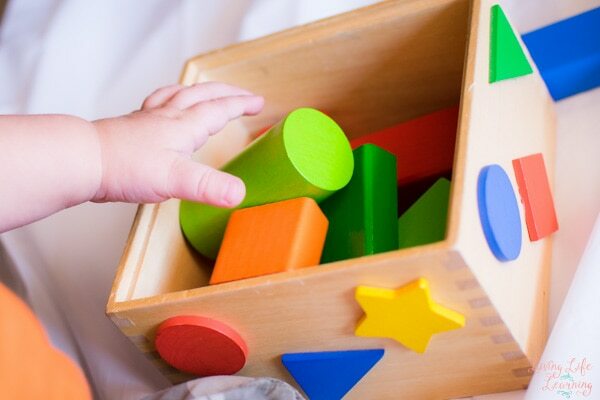 Then pick out a number of wooden blocks in rainbow colors. I made sure to have a few blocks of each color, but limited the total number of blocks in order to not overwhelm N. We don’t own any purple blocks, but that’s okay. N certainly didn’t notice. The first thing he wanted to do was just to build something, so he did. 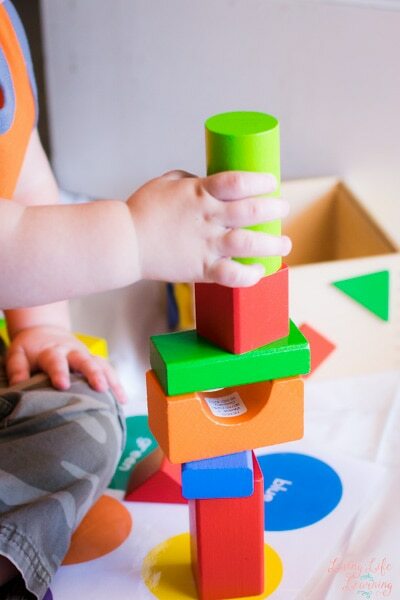 While he was building a small tower, I talked to him about the colors of the blocks he was using. I also pointed out the colors of the circles on the color mat, and he caught on quickly. 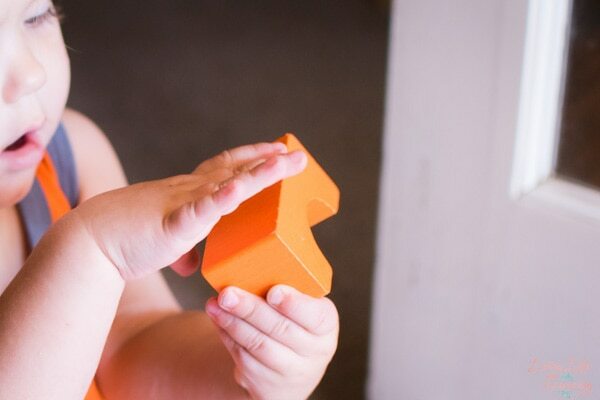 He took his time checking out this orange block and wanted to know what color it was. When he was done exploring the block, he put it on the orange circle. He got excited when I told him that he’d put the orange block on the orange circle and started pulling out more and more blocks. With each one, he’d ask me to tell him the color before he put it on the matching circle. Without prompting, he decided to stack blocks in matching colors. This was such a simple color matching activity! My son thoroughly enjoyed it, and even though he can’t say any color names yet, he learned a lot. 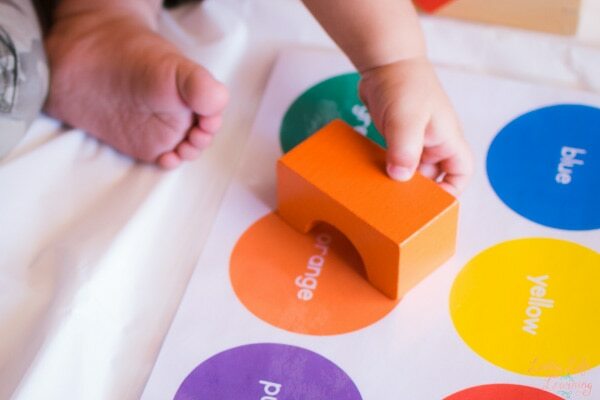 If you’d like to try some other simple color activities for toddlers, check out this Colors with Spielgaben activity, play this Gross Motor Color Game or practice fine motor skills while Color Sorting Beads.